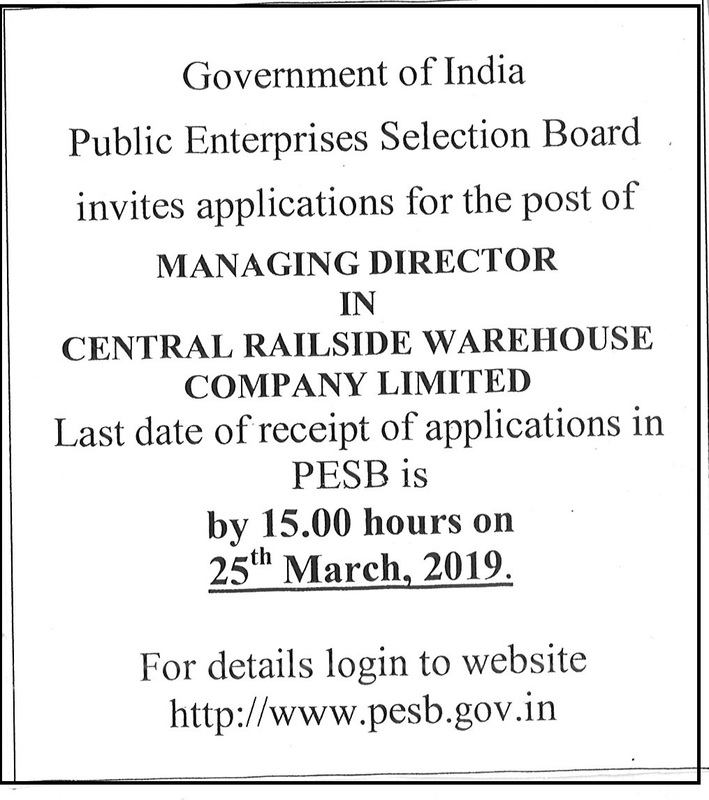 Invites applications for the post of MANAGING DIRECTOR in CRWC ltd.
As part of its diversification activities, CWC developed a warehousing facility of Railway land along a Railway siding as a Pilot Project at Whitefield Goods Terminal at Bangalore after entering into an agreement with Indian Railway. 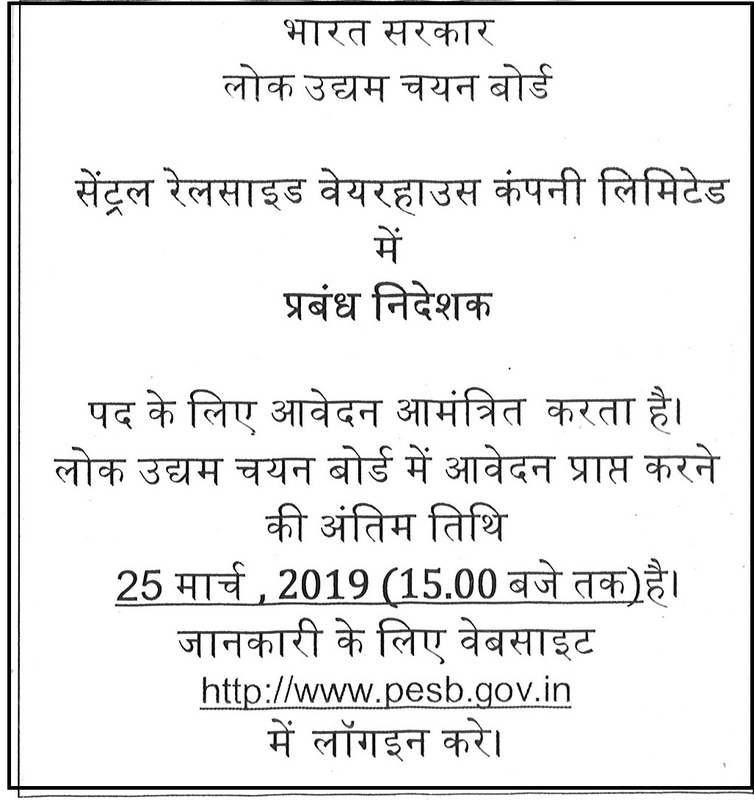 This project started operation since February 2002 and resulted in attracting additional traffic to the Railways, improvement in customer service and an increase in the volumes of cargo handled by CWC. The success of this project led CWC to consider developing Railside Warehousing Complexes at other centers also throughout near identified Rail Terminals.